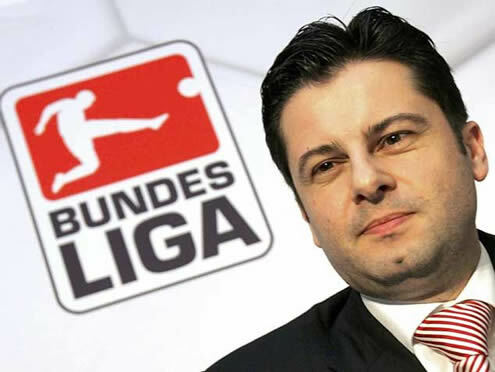 ﻿ Christian Seifert: "Cristiano Ronaldo wouldn't be a star in the Bundesliga"
31.10.2011 » Christian Seifert: "Cristiano Ronaldo wouldn't be a star in Bundesliga"
Christian Seifert is the "Deutsche Fussball Liga" (DFL) CEO and one of the most powerful man in the Bundesliga. The DFL chief granted an interview a few days ago where he stated that Cristiano Ronaldo wouldn't be able to become a superstar in the Bundesliga. Christian Seifert, CEO from the DFL and the German Bundesliga, granted a curious interview last week, where he said that Cristiano Ronaldo doesn't have what it takes to become a superstar in the Bundesliga. The DFL chief believes that the Bundesliga quality level is currently very high and that the Real Madrid winger/forward wouldn't be able to impose as one of the best players in the German League. 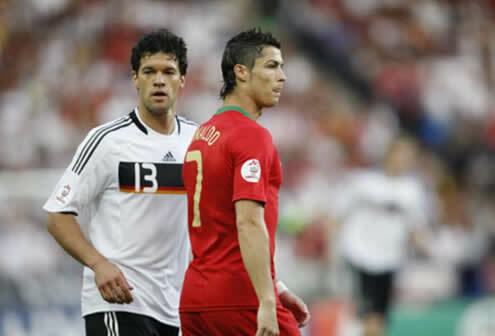 Christian Seifert: "I'm convicted that Cristiano Ronaldo wouldn't be a super-star in Germany. Ronaldo would probably struggle to stand out from the rest of the talented players in the Bundesliga. ", said the DFL's CEO. We're not sure if Christian Seifert watches any different league than the Bundesliga, but if he does, let's just say that he certainly lacks the ability to judge football players qualities and potential. As an complementary note, the last German club to have won the UEFA Champions League was Bayern Munich, 10 seasons ago (2000-2001), in a match played against Valencia CF. The Bundesliga Chief Executive Officer (CEO), also claimed that the German League has some of the best youth training centers, which is the main reason why their domestic league has reached such an high level. Christian Seifert: "Ever since 2000, our youth practice facilities have a very high training level. That's undoubtedly one of the reasons why the Bundesliga can be regarded as one of the best leagues in the World." Moreover, Christian Seifert kept showing his somehow excessive patriotic opinions, when he praised Bastian Schweinsteiger and ranked him as one of the best midfielders in the game. Seifert: "Schweinsteiger is 27 years old and he's close to achieve 100 caps for the German National Team. He has always had great performances in all the biggest international tournaments since the World Cup in 2006 and he's definately a tremendous midfielder", noted the Bundesliga CEO, in a clear attempt to justify his previous peculiar remarks made on Cristiano Ronaldo, by giving Bastian Schweinsteiger as an example of a player who is regarded as a super-star in the German League. Real Madrid will now face Olympique Lyon this Wednesday, in a UEFA Champions League fixture. You may watch Lyon vs Real Madrid live, in our Soccer Live Streams section. The countdown clock timer, displaying the time left for the next Ronaldo game, is shown on the top right corner of all pages. Besides that game, you can also watch Manchester United vs Otelul Galati on Wednesday, and Viktoria Plzen vs Barcelona next Tuesday. All streamings are provided from our "Live" section.